Engagement is not just a custom of exchanging glittery rings but it’s also a commitment of dream, love and togetherness. The perfect partner deserves the perfect solitaire and the perfect solitaire deserves the perfect moment, and what can be better moment to slip a beautiful diamond solitaire on her finger at your engagement day. You found your soulmate, now you just need to find an engagement ring that she’ll love, for the rest of her life. Finding an engagement ring that complements her unique style is not an easy nut to crack, it is a roller-coaster of excitement and confusion. Here is guide on how to choose the right solitaire diamond ring for your special someone. · Don’t rush into buying anything, take some time to find a perfect solitaire ring. · Listen intently anytime she talks about jewellery. Look the kind of jewellery she wears. Consult her friends. · Choose the Right Band: Know the stuff your lady likes. Whether she likes a gold, platinum or silver band. · Choose the right settings. · Shape Matters the Most: every diamond shape has a different aesthetic. By shape, we mean the actual geometry of the stone. · Find out her ring size. · Think outside the big box and go beyond the classical white diamonds. As the colored diamonds are a rage nowadays, surprise your lady love with a magnificent colored diamond. 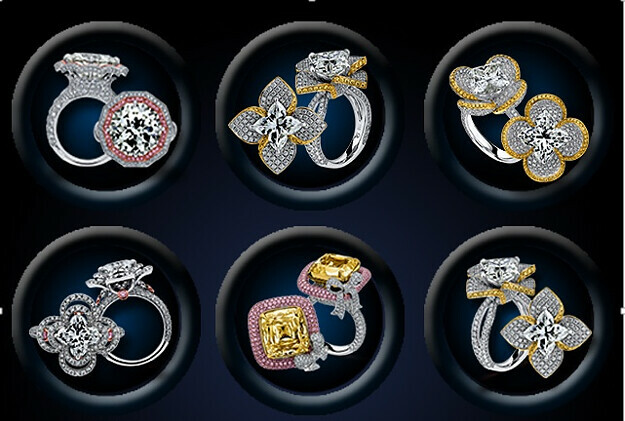 Choose a good, renowned jewellers who is known for the diamonds they sell. · Buy certified and check the return policy. ONLY, in case you lady doesn’t like it, only! · Search the web. Look for diamond solitaire ring designs online and shortlist a few. · Last but not the least, know your budget. Don’t let the solitaire ring leave a burning hole in your pocket. Marriage mean expenditure, honeymoon, and pampering. Spend wisely and save for the rest! Once you’ve figured out what she likes, the rest is an easy game to win. Keep on your toes with this easy guide. Prateeksha Suri is an ardent reader, writer, blogger, jogger and hogger. Loves exploring the manual films (books) and places of adventure. A die-heart foodie and an extrovert.